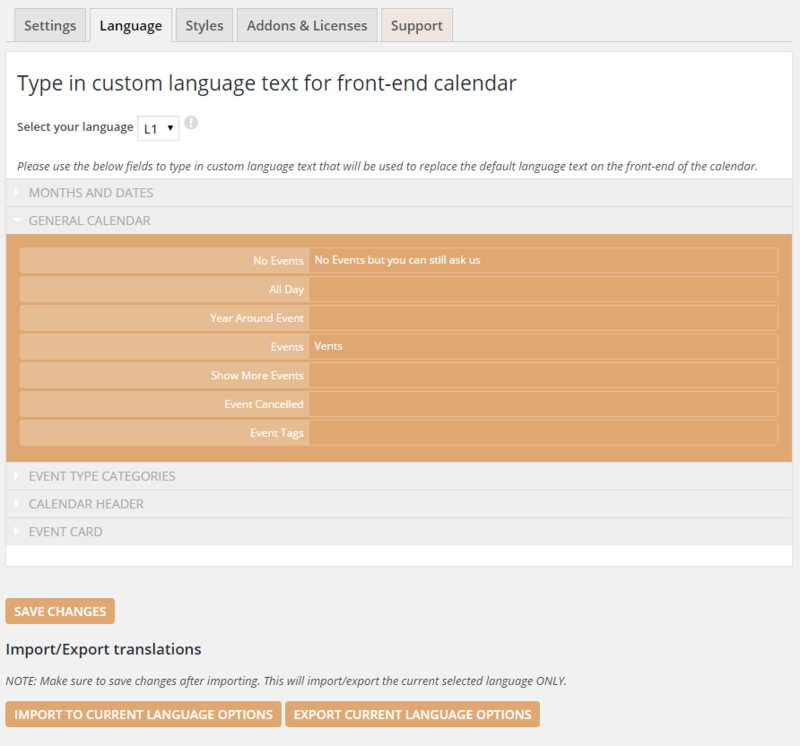 EventON allows you to easily add your own custom language to all the front-end calendar text from myEventon Settings > Language in there the sub menus represent sections of the calendar and the text strings that you can translate. By default eventON support up to 3 different languages you can also add more languages by adding this code. Language can also be exported as CSV file and import.